Under the guidance of Yongey Mingyur Rinpoche, Tergar Meditation Community of the San Francisco Bay Area encompasses practice groups throughout the region. 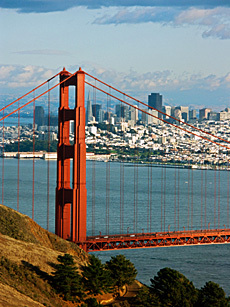 We meet regularly in Berkeley, Los Gatos, Oakland (Chinese language) and San Francisco. See below for more information on each practice group. Tergar groups hold drop-in meditation groups, retreats, workshops, classes on meditation and Tibetan Buddhism, and more. If you are new to meditation and would like to learn more, or if you are a seasoned practitioner and would like to deepen your practice, please join us as we explore the practice of mindfulness. To get to the studio: open the door to the building with the code found on the berkeleyyoga.com website, walk up the steps and turn right; Studio C is a few paces ahead, on your right. Meets every Sunday for English language group meditation and discussion 9:45 a.m. – 11:15 a.m.
A Chinese-speaking group led by Tsangsar Tulku Rinpoche meets on the second and fourth Sundays of each month from 10:00 a.m. – 11:30 a.m. This group practices meditation, various rituals, and hosts discussions about Buddhism. Meets twice per month, on first and third Thursdays for English language group meditation and discussion, 6:00 p.m. – 7:30 p.m. If you are planning to attend for the first time, please send an email to confirm the meeting schedule. Near Pier 39, accessible by Muni F streetcar; Paid public parking nearby.